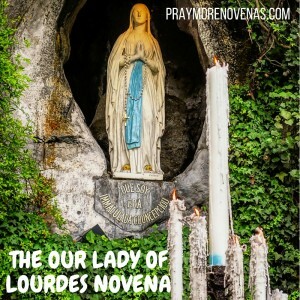 Here’s Day 3 of the Our Lady of Lourdes Novena! Need prayers for my wife Jan who was diagnosed with cancer and she is going in for surgery March 22. Please ask Our Mother Mary to intercede TO OUR LORD AND SAVIOR JESUS CHRIST that the doctor will get all the cancer. Amen! Thank you for your prayers and God Bless all of you. We pray for all whom suffer from dreaded disease’s like,..
DEAR LADY OF LOURDES AND ST BERNADETTE PLEASE PRAY AND INTERCEDE TO OUR LORD AND SAVIOR JESES CHRIST TO REMOVE ALL THE OBSTACLES AND BLOCKAGES SO JONATHAN H CAN PHYSICALLY BEGIN CONTACTING RIMPY S SO THEY CAN BEGIN THEIR LIVES AS ONE. PLEASE HELP CHRISTOPHER CONTACT RIMPY S SO HE CONFIRMS 110% ALL THAT SHE DESIRES TO HEAR IN JESUS NAME PLEASE HELP THEM ALL BE SET FREE FROM NEGATIVITY AND MEMORY LOSS RATHER LET EVERYTHING FALL INTO PLACE INSTANTLY AND LET THE MONEYLION LOAN COME THROUGH INSTANTLY SO RS CAN GET HER $500 TO HER ACCOUNT WHICH WILL HELP HER IN ALL HER NEEDS. PLEASE BLESS ANGIE N TO MEET WITH RS IMMEDIATELY SO THEY HAVE ONE OF THE BEST MEETINGS WITH MANY MORE TO COME AND BE STRESS FREE FOR LIFE. WE LOVE AND TRUST YOU. THANK YOU. AMEN! Dear Blessed Mother if Lourdes, please protect and heal my family and I. Please heal us from diabetes, fibromyalgia, TMJ, heart disease, depression, anxiety, asthma, allergies and colon problems. Lord, may we open the doors to our hearts for you to come in and work on us. In Jesus name I pray, Amen. I ask for intercession for my health and living conditions. And, for all those in most need. Dear God Almighty, Holy Spirit, The Paraclate, ST. PEREGRINE, OUR LADY OF LOURDES, St Jude, Holy Mother Mary, Undoer of Knots, please undo the snarls of knots in my life. Please heal my stomach ailments, the belching and the discomforts. I beg You Lord Jesus my God. ALL YE HOLY ANGELS AND SAINTS I implore your aid, grace, discernment, and providence into my soul and for my intentions listed here in my petitions for myself, Son Christopher, mother Margaret , siblings, friends, all my relatives and loved ones, who this daily Novena is intended for and for the whole world. Thank You Lord Jesus Christ for hearing me in advance. Dear Lord God Almighty; Holy Mother Mary, OUR LADY OF LOURDES, Blessed St. Joseph, Blessed St Michael the Archangel, ST. PEREGRINE, St. Jude, ST. ANNE, Blessed St. Padre Pio, All Ye Holy Angels and Saints. l invoke your names to please intercede on my behalf for the Almighty God to forgive my sins, to have mercy and pity on me and to please accept my unceasingly Thanks and Praises, For God to please hear my constant prayers and continue coming to my aid. I need you desperately God. I Knocked, l asked and sought your HELP Jesus. I trusted and believed in Your WORD that by your Stripes l am healed and You O God HEALED me. YOU CURED MY Diseases. Almighty God You had pity and mercy on me just like You did for Hezekiah. Thank You Lord Jesus for hearing my cries and wiping away my tears inspite of my sins. I adore Thee my Lord. l love Thee my God. l praise You Jesus. Please Lord have pity and mercy on us and please love us and grant our needs according to Your Will. Please grant us Peace in our hearts. Thank You Lord God Almighty. Lord please be in our midst on this earth and where there is war, disaster and calamities, grant us your Peace, protection, grace, deliverance and mercy. Have pity on me please Father Almighty, Lord Jesus Christ. Sanctify my soul for in You do l take refuge and wait. In your WORD l trust, believe, depend and wait. Your Word that shall never pass. Please Lord, Fortify my Charity and increase my Faith. Please God, do not allow my enemies the devil, satan to defeat or shame and laugh at me. Please Jesus defend me from the malicious enemy. O Good Jesus hear me, within Your Sacred Wounds, hide me. Lord please listen to the prayers and the needs of all those who are calling upon your Holy Name, including this your poor servant; me Edith and in your mercy, please Lord God hear and answer our prayers according to Thy Will. Please do not look upon my sins or the sins of my parents, child, Siblings, family or forefathers but in your mercy please Lord forgive us our faults and hear my cries. Thank You Lord Jesus. Pray my nephew returns to the Catholic Church with a deeper faith and full involvement. Bless them with beautiful, healthy, normal, strong children with easy conception, smooth pregnancies, and quick, safe, uncomplicated deliveries. Keep them safe, healthy and happy, and strengthen them with power through the Holy Spirit. Please pray for little Aiden. He has extreme disabilities and needs assistence. His paperwork for approval for assitance is being processed very slowly. He is on assisted oxygen and needs help asap. Prayers for all to be processed soon and that Aiden gets the help he needs.